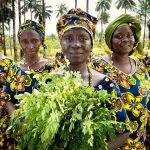 The CGIAR Collaborative Platform for Gender Research is calling for research proposals on the topic ‘Feminization’ of agriculture: Building evidence to debunk myths on current challenges and opportunities. Proposal submission deadline - September 17, 2018. 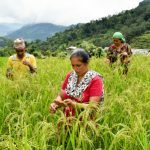 To celebrate this year's International Day of Rural Women (October 15), the CGIAR Collaborative Platform for Gender Research illustrates how gender research in agricultural and natural resource domains is contributing to improving the lives of rural women. The call, announced in August, invited CGIAR researchers to submit proposals on gender relations vis-a-vis technological and institutional innovation, with a focus on gender dynamics in seed systems. 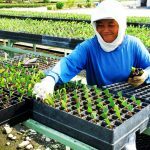 Five selected projects will be carried out during the next 18 months and will be co-funded by Policies, Institutions, and Markets (PIM) through the Gender Platform and other CGIAR research programs involved.